Recently I have become more and more invested in taking care of my nails. I have been watching Young Wild And Polished on YouTube and following her on Instagram for quite sometime now and she is so amazing at doing her own nails. Her nails are practically perfect (fan girl, nail envy). After seeing her nail related videos and posts it inspired me to take better care of my own nails which made me want to write post like this. This polish was one of the little presents Scott put in my stocking, he rather impressed me as he chose this colour himself! 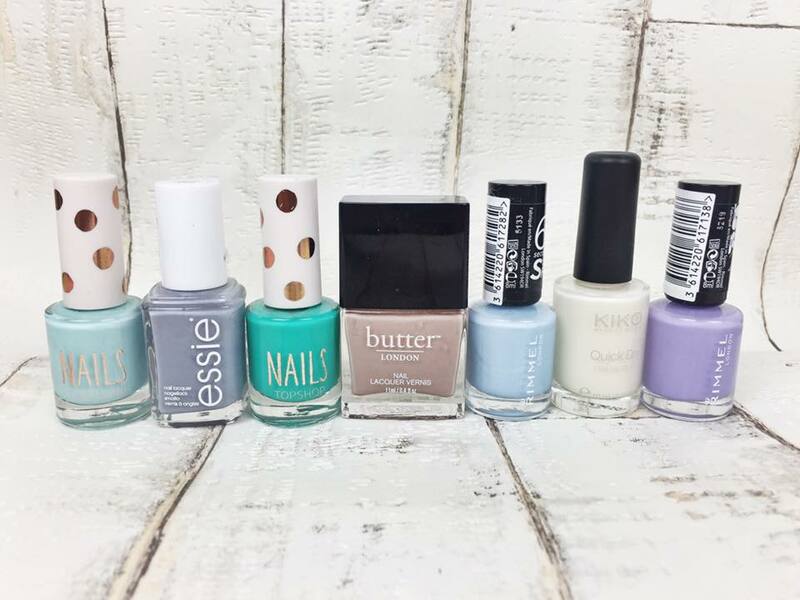 I love pastels for spring as it makes me feel really feminine and girly. These Kiko Quick Dry nail polishes are so good! I was using a dark brown colour during the winter and I loved it. They apply like a dream and dry quickly (obviously). the reason why I chose this shade is because it is a pretty slightly off white colour. Many people like wearing white on their nails but I feel as though this off white will still look pretty but its also slightly different and will stand out. 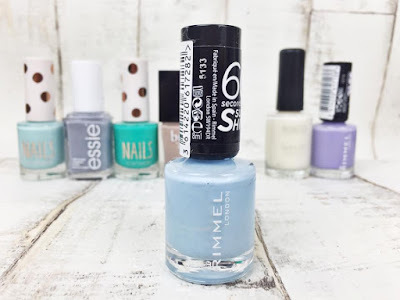 Rimmel provide such amazing quality nail polishes, the formula is one of my favourites alongside Barry M and Essie. 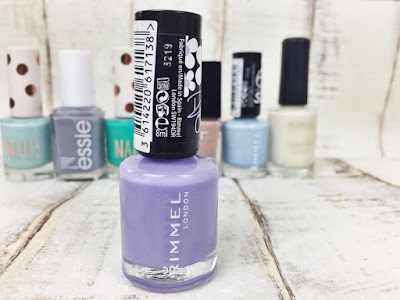 Like the purple this is another pastel colour which I think is perfect for Spring. This would even look perfect as an accent nail paired with the purple shade. 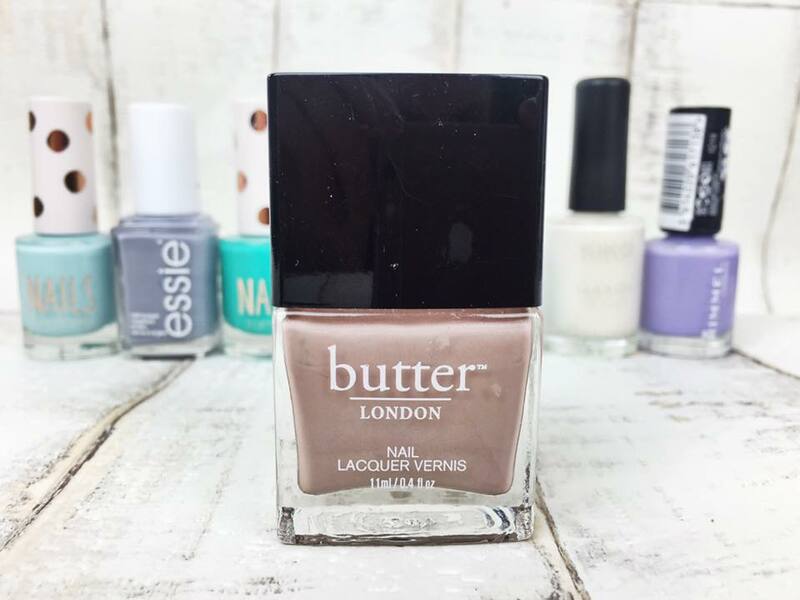 This Butter London polish, yummy mummy is a long time favourite of mine. It is such a stunning beige shade. Although I have and do wear this all year round I feel as though it is better suited for in the Spring as it is light, pretty and feminine. What I love most about spring is the colours, bright blossoms, daffodils and blue skies. Spring has got to be my favourite time of year, its warm without being too hot and it is so beautiful seeing the leaves on the trees growing back which is whyI think this green/blue shade is perfect. It is bright without being too garish, Toyshop have such pretty colours. The only negative thing I have to say about this polish is it does take 3-4 coats to be opaque. Having said that using thin coats to build the colour with this formula laves for a nicer finish. 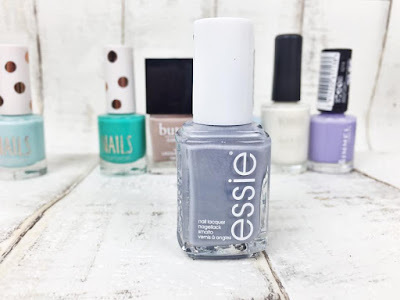 Essie has got to be my all time favourite nail brand. They have so many gorgeous colours it is hard to choose sometimes. This is the shade cocktail bling, the cool toned light grey is so so pretty. I used this so much last Spring/Summer and I have a feeling I will get a lot of wear from it this year. 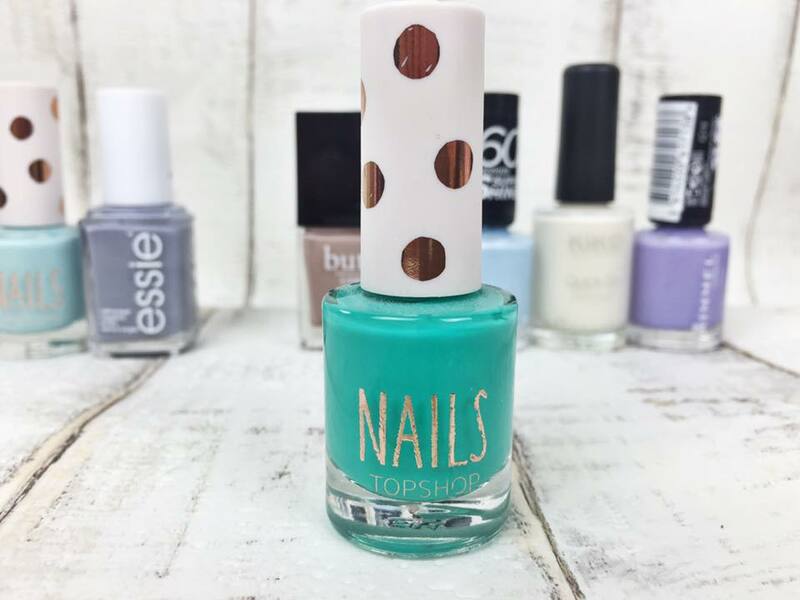 What I love most about this colour is paired with a good top coat is lasts such a long time. Definitely a colour which needs to be in everyones collection. this is again a toyshop nail polish, and also a pretty pastel. The Rimmel pale blue is very similar to this one but what I love about this shade is it is more of a mint blue as opposed to a sky blue. 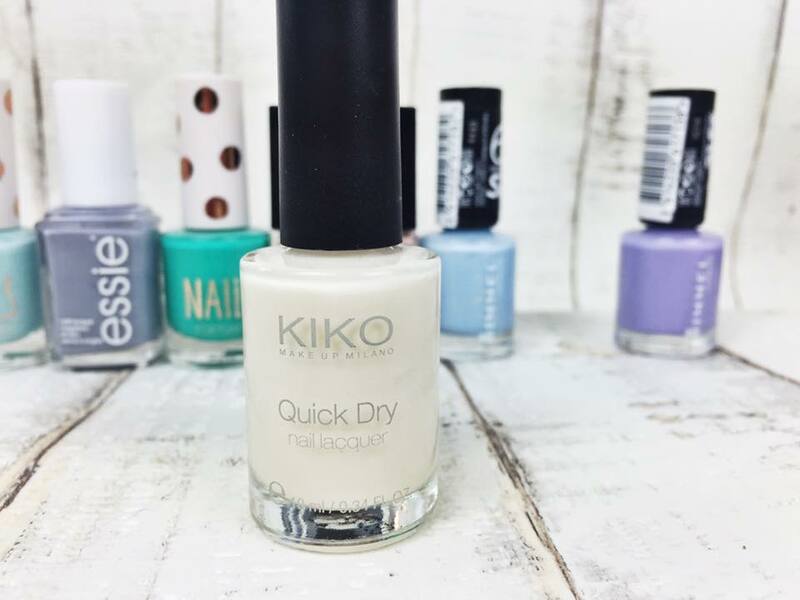 This shade, like the other toyshop polish does need around 3-4 coats but once you have built the colour up is is such a stunning colour! I haven't used this shade as much as the others I have chosen but I definitely will! 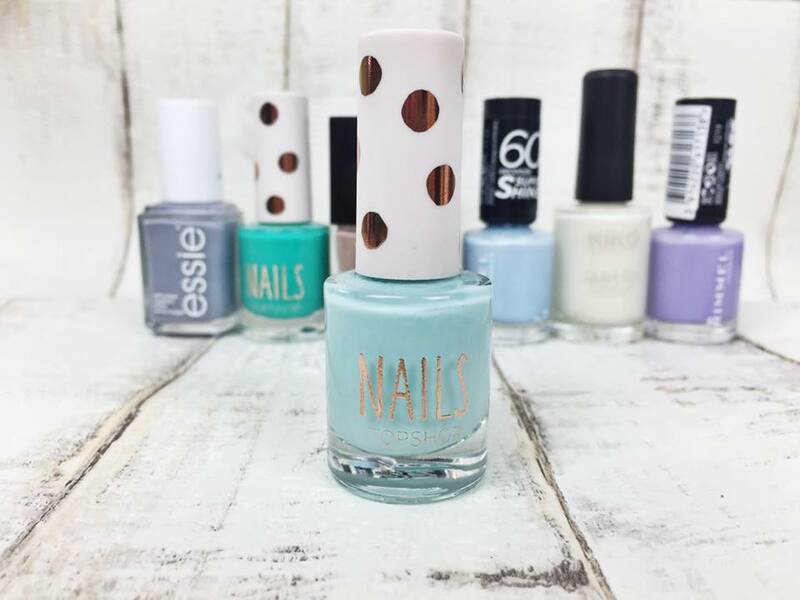 What are your favourite spring shades? Nice colours! I would buy all the shades in the world!